You should consider using synthetic oil in your car, especially during the winter. Let’s be honest, it gets downright freezing in Plain City, OH, once winter is upon us, and synthetic oil helps your engine survive the frigid temperatures just as your coat, hat, scarf, and gloves helps you survive the icy conditions. ER Auto Care stocks both synthetic and standard motor oil, so you can make the switch if you desire to at your next oil change. The latter is why we mentioned winter in the introduction to this post. Standard engine oil flows slowly when the mercury drops, which can cause engine damage if you start your motor in the morning and immediately back out of the garage. Synthetic motor oil doesn’t take as long to warm up – it flows quickly and easily even when it’s below zero. 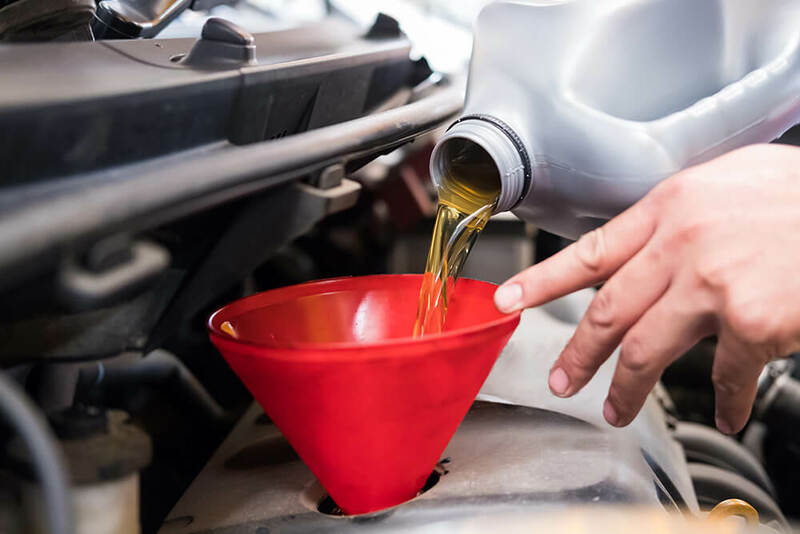 The only disadvantage of synthetic oil that we see is its cost, and since this post is meant to help you decide what’s best for you, we feel we should bring this up. You’ve probably noticed on our price board that synthetic motor oil is much more expensive than standard motor oil. We don’t mean to pass this supply cost on to you, but we have to. Before you stop reading and think standard oil all the way, here us out. Aside from winter driving, if your commute involves lots of short trips, stop-and-go traffic, or mountainous or rough terrain, synthetic motor oil will better reduce the wear and tear on your engine. In addition to this, synthetic motor oil lasts longer, which means you might be able to double the distance between oil changes. When you take this into account, you realize the additional expense now saves you money on maintenance and expensive repairs in the end. This is why ER Auto Care believes synthetic oil pays for itself. Stop by our shop today or call use at 614-873-3952 to discuss your vehicle’s motor oil needs. Previous Post Why Is My Oil Milky Brown? Next Post Why Does My Car Shudder When I’m At a Red Light?